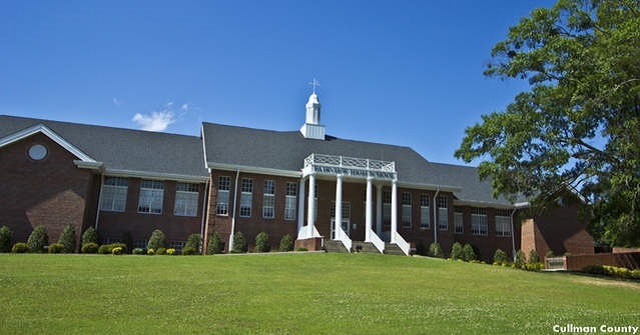 FAIRVIEW – Fairview High School is currently on a "soft lockdown" following online threats according to Ed Roberson, chief financial officer of Cullman County Schools. "There is no threat right now," said Roberson. "We received a couple of online communications saying that they were going to do this to the school or do that, so we had the sheriff's department do some investigating last night and this morning." Roberson continued, "As a safety precaution, we've got the school on a soft lockdown and we've got some extra deputies out there today. It's been determined that there wasn't a legitimate or credible threat to the school. Still, just as a safety precaution we're erring on the side of caution with everything that's been going on down in Florida." Cullman County Sheriff Matt Gentry said the lockdown is a result of an ongoing investigation into anonymous threats that were made over a PlayStation gaming system on Wednesday. “First and foremost,” Gentry said, “I want parents and citizens to know, there has been no incident at the school, and all of the children are safe. Nothing has happened. A couple of days ago, over a PlayStation gaming system, some kids received an anonymous message of a possible threat at the school. For two days, our investigators have been working around the clock, have been trying to find out where the anonymous message came from. Because the safety of our children is the most important thing, what we did this morning is put extra law enforcement personnel at the school to ensure the safety of our children." Gentry said investigators are still working to identify where the message came from. Gentry said that if the person or persons are identified, they could face criminal charges. Roberson said a soft lockdown means that all outside doors are staying locked, and that the school is monitoring who's coming onto campus. Due to very recent issues in schools across the country, administrators determined that some online communications may be a security threat to teachers and students. Investigators with the Cullman County Sheriff's Office were involved in the process as well. "We have determined there is no legitimate or credible threat to the schools in Fairview. The schools are on soft lockdown solely as a precaution and us erring on the side conservatism and complete caution. Soft lockdowns are a common practice and best standards protocol we invoke any time a concern exists in a school, or issues arise in the areas surrounding our schools. I want to tap down any rumors or speculation about this situation. While we do have extra staff on-site as part of our standard procedure in cases like this – I want to reiterate – there is no credible threat nor immediate danger to anyone. Copyright 2018 Humble Roots, LLC. All Rights Reserved. Photo courtesy of Cullman County.